Scientific Discussion meeting organised by Professor Nikolaos Mavromatos, Dr Laura Patrizii, Dr Vasiliki Mitsou, Professor James Pinfold, Dr Adrian Bevan, Professor Arttu Rajantie and Professor Jonathan Ellis CBE FRS. The schedule of talks and speaker biographies is available below. Recorded audio of the presentations will be available on this page after the meeting has taken place. 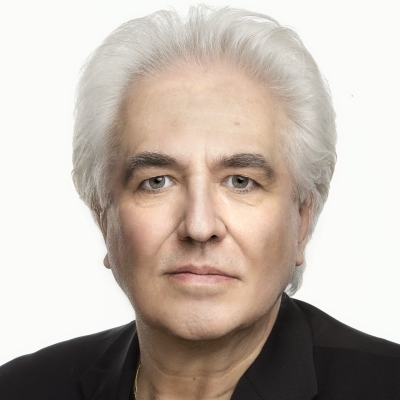 Nick E. Mavromatos is a Professor of Theoretical particle Physics at King's College London, Physics Department, a post he holds since September 2006. He graduated (with a Bachelor degree in Physics (BSc) with First class honours in 1984) from the University of Athens (Greece), and obtained a Doctorate degree (D Phil) in theoretical particle physics from Oxford University (UK) in 1987. 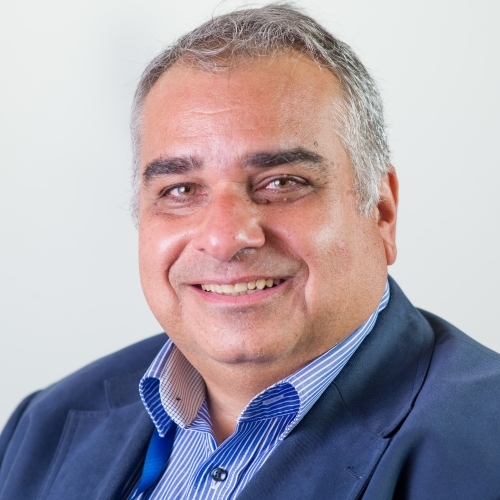 He has then been a junior research fellow at Hertford College Oxford University (1987-1990), a research fellow at CERN (Switzerland) (1990-1992), a Marie Curie Fellow at Annecy LAPP (1993-1995) and an STFC Advanced Fellow in Oxford (1995- 1999) before moving as a lecturer to the Physics Department of King's College London (1999) and then (2003-2006) a reader. He is a scientific associate at CERN since 1995. His research interests lie on quantum gravity and string theory phenomenology and astro-particle physics. Twice he has been a recipient of the first Award of the Gravity Research Foundation (USA) Essay competition (1999 and 2005). Since 2011 he is the Physics coordinator of the MoEDAL/LHC Experiment at CERN. He is the author of more than 300 research publications and refereed conference proceedings. He is a Fellow of the Institute of Physics (UK) (2004) and an elected ordinary member of the London Physical Society (2003). He has also been several times a visiting professor in the University of Valencia (Spain) where he taught graduate courses on General Relativity and Astroparticle Physics. Dr Bevan runs the Particle Physics Research Centre at Queen Mary University of London. After completing his PhD working on the NA48 experiment at CERN, Dr Bevan joined the BaBar experiment at the SLAC National Accelerator Laboratory to search for CP violation in B meson system. He edited a joint BaBar-Belle-Theory effort of 172 scientists to compile a comprehensive record of the Physics of the B Factories. He has since worked on searches for new physics via rare B decays and di-Higgs production on the ATLAS experiment at CERN. He is searching for magnetic monopoles at the MoEDAL experiment at CERN. His current interests include applications of artificial intelligence and machine learning to searches for new particles at the Large Hadron Collider. Dr Bevan is a Fellow of the Institute of Physics, a Turing Fellow and an IPPP associate working on Machine Learning in High Energy Physics. 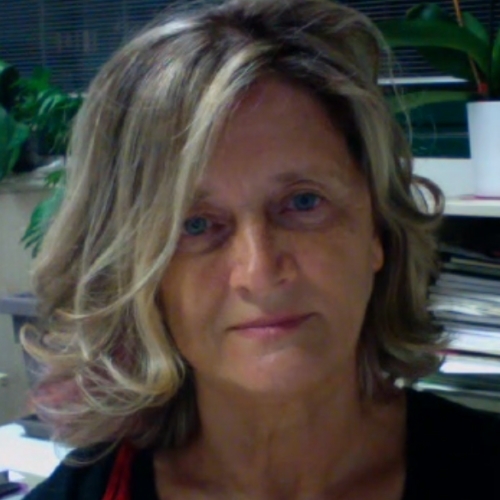 Vasiliki Mitsou (Athens, 1972), a senior scientist at the Institute of Corpuscular Physics of CSIC and the University of Valencia, stands out for contributions to development and data analysis of the ATLAS and MoEDAL experiments at the CERN Large Hadron Collider, searching for New Physics extending the Standard Model currently explaining the Universe at a fundamental level. ATLAS is one of the experiments that discovered the Higgs boson in 2012 leading to the 2013 Nobel Prize in Physics awarded to F. Englert and P. Higgs. She obtained her PhD from the University of Athens in 2002 as a CERN Doctoral Student and held prestigious positions such as a CERN Fellowship and a Ramón y Cajal. She has been awarded the Idea Prize in Basic Science by the City of Arts and Sciences Foundation in 2009 and a Beca Leonadro for Researchers and Cultural Creators by the BBVA Foundation in 2017. While a graduate student, James Pinfold was a leading member of the Gargamelle Experiment team that discovered neutral currents, the first hard evidence for Electroweak Unification. He made key contributions to the development of the Standard Model at Fermilab (USA) and CERN (Switzerland), on the OPAL experiment. On OPAL he pioneered a neural-network based search for the Higgs boson, and contributed to the discovery that there are only three generations of light neutrinos. In 1987, Pinfold became the MODAL experiment’s leader at CERN’s LEP Collider, and led the WA88 experiment at CERN, pioneering new detector technology. A founding member of the ATLAS-LHC experiment, Pinfold made leading contributions to three sub-detectors, early performance studies, and to the Higgs boson’s discovery. From 2000-2010 he was co-spokesperson of the SLIM astroparticle physics experiment atop Bolivia’s Mount Chacaltaya. Currently, Pinfold leads the LHC’s newest experiment, MoEDAL, searching for new physics at the high-energy frontier. 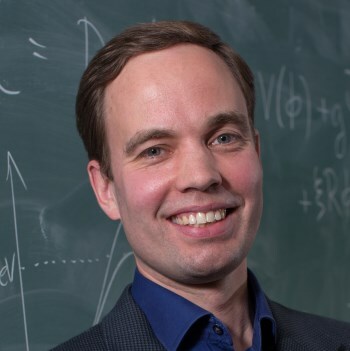 Arttu Rajantie did his PhD in Theoretical Physics at the University of Helsinki, Finland. In 2005, after working at the Universities of Sussex and Cambridge, he moved to Imperial College London where he is Professor of Theoretical Physics. His research deals with non-equilibrium phenomena in quantum field theory and their applications in particle physics and cosmology. He is a member of the MoEDAL collaboration at CERN, which is searching for magnetic monopoles potentially produced in proton-proton and heavy ion collisions at the Large Hadron Collider. In 2015, he was the lead organiser of the Monopole Quest exhibit at the Royal Society Summer Science Exhibition. The effects of quantum mechanics on the laws of the gravitational force are difficult to formulate. In the absence of direct experimental information, one must rely on all available knowledge concerning quantum mechanics as well as diffeomorphism invariance, and analyze the questions that arise, as accurately as possible, without using arbitrary assumptions. A most important testing ground is the subject of microscopic black holes. The predictions by standard General Relativity are clear: tiny black holes can grow and shrink by absorbing and emitting particles. Quantum mechanics predicts an evolution law described by a unitary operator. All that is needed here is an operator for tiny or infinitesimal time steps, and this evolution law should be in accordance with the physical laws describing domains of space-time near the horizon. In the lecture, it is claimed that solutions proposed in the literature are wanting in this respect. In particular, these assume that black hole particle emission must be “chaotic”, while it is unreasonable to expect chaos to form during short time stretches. One can do better. The evolution operator is found to be unitary and obey some basic principles of locality. A necessary modification of accepted rules is the so‐called antipodal identification. Another is the identification of Hawking particles emitted by the hole, with the gravitational footprints of all in‐going particles. These observations are used to obtain theories for quantum gravity even in flat backgrounds, in ways often not considered. 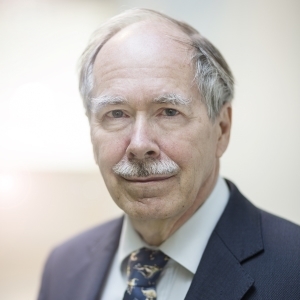 Gerardus ’t Hooft (born July 5, 1946) is a Dutch theoretical physicist and Nobel laureate. He shared the 1999 Nobel Prize in Physics with Martinus Veltman, who was his thesis advisor at the time the investigations were done that were quoted in the award: “for elucidating the quantum structure of electroweak interactions in physics”. Born and raised in the Netherlands, ’t Hooft studied theoretical physics and mathematics at Utrecht University, where in 1977 he became Professor of theoretical physics. He spent several sabbatical periods in Harvard, Stanford, CalTech and Durham, N.C. His early work with Veltman involved the question how to renormalize the forces due to vector particles (particles with spin 1) in the formalism of relativistic quantized fields. Local gauge invariance turned out to be essential here, just as it is for the electro-magnetic force. Also essential for the description of particles with mass was what is now known as the Brout-Englert-Higgs mechanism, requiring the existence of the so-called Higgs particle, recently detected at the Large Hadron Collider experiments at CERN. Further investigations led to the discovery of magnetic monopole solutions in such theories, and the significance of effects due to “instantons”. Later, he turned his attention to the deepest remaining mystery in particle physics: how to “quantize” the gravitational force, and what the role should be of sub-microscopic black holes in this question. The electroweak monopole in the standard model, the existence, characteristic features, cosmological production, and physical implications are discussed. The discovery of Higgs particle has been thought to be the 'final' test of the standard model. If the standard model is correct, however, it must have the electroweak monopole as the electroweak generalization of the Dirac monopole. This means that the detection of this monopole should become the final and topological test of the standard model. If detected, it becomes the first magnetically charged and stable topological elementary particle in the history of physics. Moreover, it has deep implications in physics. In cosmology it could generate the primordial magnetic black holes which could explain the dark matter, become the seed of the large scale structures of the universe, and be the source of the intergalactic magnetic field. As importantly, it could generate the hitherto unknown magnetic current that could have huge practical applications. Furthermore the existence of the monopole requires us to reformulate the perturbative expansion in quantum field theory. This makes the detection of the electroweak monopole a most urgent issue. Useful tips for the MoEDAL detector at LHC and similar experiments to detect the monopole are discussed. 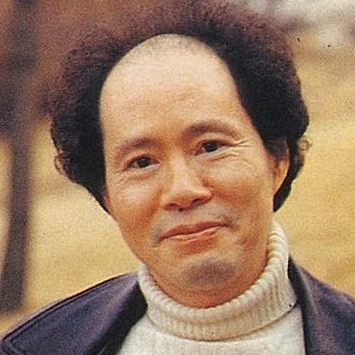 After his PhD at University of Chicago, Professor Cho worked at New York University, the Max-Planck Institute in Munich, University of Pierre and Marie Curie (Paris VI) in Paris, and CERN before returning to Seoul National University in Korea. He has been visiting professor at several institutes, including IAS in Princeton, Yale University in Providence, and ICTP in Trieste. He played a key role founding Asia Pacific Center for Theoretical Physics in Korea, and served as the first Executive Director. 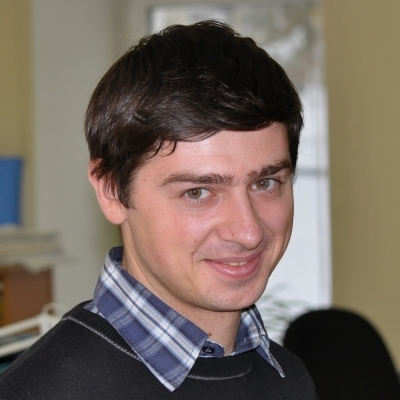 In his PhD thesis he made a major contribution to the unified field theory generalizing the 5-dimensional Kaluza-Klein theory to higher-dimension, which has revealed the deep connection between the fiber bundle theory in differential geometry and the non-Abelian gauge theory in theoretical physics. After this he has proposed the Abelian decomposition of QCD which tells that there are two types of gluons, the color neutral neurons and the colored chromons, and generalizes the quark model to the quark and chromon model. 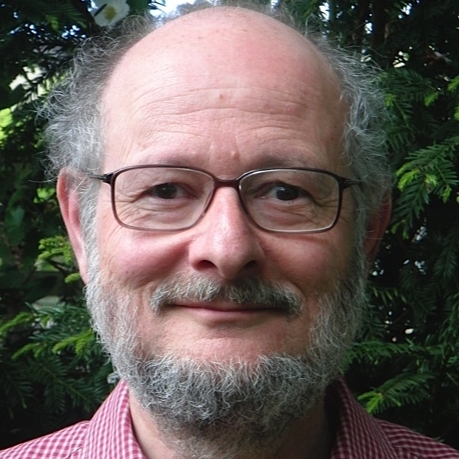 Moreover, he has demonstrated the existence of the electroweak monopole in the standard model, constructing the explicit solution with Dieter Maison at the Max-Planck Institute. The interaction of a magnetic monopole-antimonopole pair depends on their separation as well as on a second "twist'" degree of freedom. This novel interaction leads to a non-trivial bound state solution known as a sphaleron and to scattering in which the monopole-antimonopole bounce off each other and do not annihilate. The twist degree of freedom also plays a role in numerical experiments in which gauge waves collide and create monopole-antimonopole pairs. Similar gauge wavepacket scatterings in the Abelian-Higgs model lead to the production of string loops that may be relevant to superconductors. Ongoing numerical experiments to study the production of electroweak sphalerons that result in changes in the Chern-Simons number, and hence baryon number, are also described but have not yet met with success. Tanmay Vachaspati is a theoretical physicist working at the intersection of particle physics, astrophysics, general relativity, and cosmology. He has written extensively on topological defects with an emphasis on cosmic strings, and on the generation, evolution, and observation of primordial magnetic fields. In addition he has made important advances in the study of cosmological inflation, black holes and magnetic monopoles, and has authored the monograph "Kinks and Domain Walls: an introduction to classical and quantum solitons". 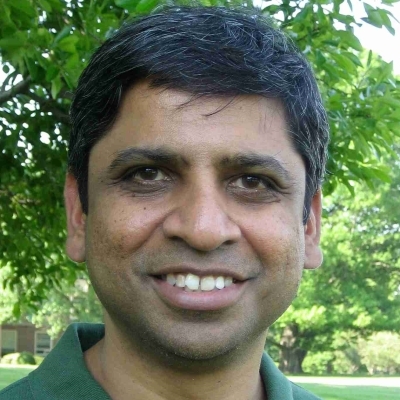 Vachaspati obtained his doctorate in 1985 from Tufts University and held postdoctoral positions at the University of Delaware and Cambridge University. He has held faculty positions at Tufts University, Case Western Reserve University, Tata Institute of Fundamental Research, Washington University and University of Maryland. 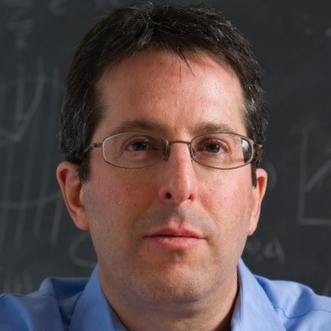 He was Rosenbaum Fellow at the Isaac Newton Institute in Cambridge, Member of the Institute for Advanced Study, Princeton, and is Fellow of the American Physical Society. He joined Arizona State University in 2010 and is currently Director of the Cosmology Initiative and Professor of Physics at ASU. Semilocal strings are a remarkable example of a stable non-topological defect whose properties resemble those of their topological cousins, the Abrikosov-Nielsen-Olesen vortices. There is, however, one important difference: a network of semilocal strings will contain segments. These are dumbbells whose ends behave almost like global monopoles and are strongly attracted to one another. While closed loops of string will eventually shrink and disappear, the segments can either shrink or grow. We discuss the cosmological formation, evolution and scaling of a network of semilocal strings, its potential signatures and some interesting connections to supersymmetry and particle physics beyond the Standard Model. 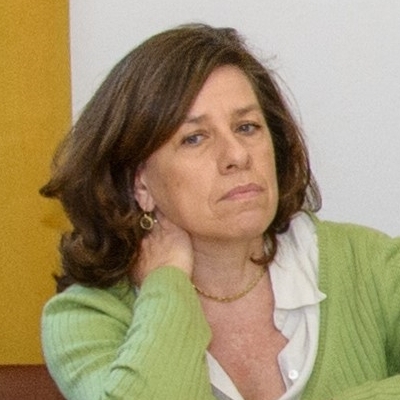 Ana Achúcarro (PhD Cantab 1989) is Professor of Theoretical Physics at Leiden University and at the University of the Basque Country (Bilbao, Spain). 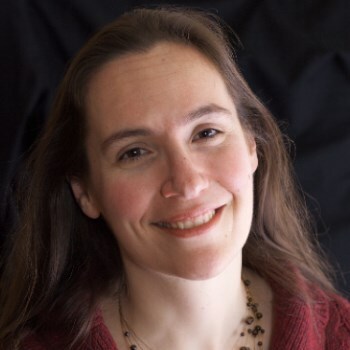 Her research interests focus on the very early universe, supergravity, solitons and defects, and black holes. 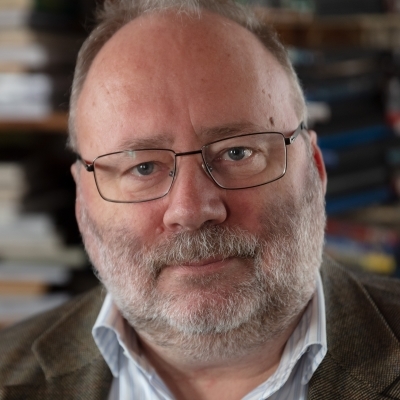 Recent appointments include Simons Visiting Researcher at the Galileo Galilei Institute in Florence (2016) and member of the Science Advisory Board of the Spanish National Science Research Council (CSIC, 2011-2017). 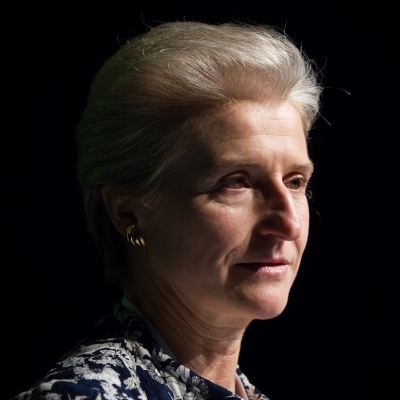 She is a member of the Academia Europaea (elected in 2011). The search for highly ionising particles in nuclear track detectors (NTDs) traditionally requires experts to manually search through samples in order to identify regions of interest that could be a hint of physics beyond the Standard Model (SM). The advent of automated image acquisition and modern data science, including machine learning-based processing of data, presents an interesting opportunity to accelerate the process of searching for anomalies in NTDs that could be a hint of a new physics avatar. The potential for modern data science to be applied to this topic is discussed, in the context of the MoEDAL experiment at the Large Hadron Collider (LHC) at the European Centre for Nuclear Research, CERN. Polymer chains in the NTDs are damaged by ionising particles traversing the plastic. Subsequent chemical etching of the plastic results in nanoscopic damage being transformed into microscopic damage – visible under a microscope or on a modern scanner system. Featuring finding algorithms can be developed, ranging from traditional clustering algorithms to modern deep-learning methods, in order to address the issue of identifying holes in the plastic. A heavily ionising avatar will differ from a SM particle as it will traverse a stack of NTDs inflicting damage to many adjacent foils, whereas the SM particle will range out only affecting a few foils as that particle comes to rest. The potential for modern data science to be applied to this area is explored. Many field theories have nonlinear equations, but more interesting is when the nonlinearity is geometrically essential, and independent of the details of the theory. This can happen through constraints on the fields, as in sigma models, through the geometry of the vacuum manifold, or through the need to quotient out by gauge transformations. When the Higgs mechanism operates, a nontrivial vacuum manifold and gauge transformations combine. In many such field theories, the field potential energy function inevitably has saddle-points in the infinite-dimensional field configuration space, and these are sphalerons. Sphalerons are smooth, spatially localised solutions of the static field equations, so they are rather like solitons, but unlike solitons they are unstable [ancient Greek: sphaleros = unstable]. Examples of sphalerons are kink-antikink and monopole-antimonopole solutions. Also, the electroweak sector of the Standard Model has no monopoles, but it has sphaleron solutions. The Skyrme model of baryons and nuclei has stable solitons, and also higher energy sphaleron-type solutions. Sphalerons can set the energy scale where perturbation theory breaks down, and control the energy scale for tunnelling, analogous to the transition state controlling a chemical reaction. Tunnelling processes in electroweak theory are accompanied by violations of baryon and lepton number, and could have been important in the early universe. 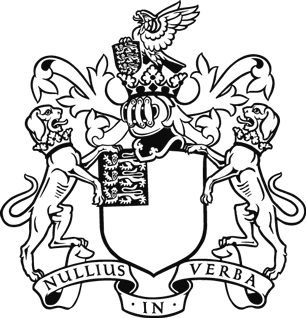 Nicholas Manton is Professor of Mathematical Physics in DAMTP in Cambridge. His main research interest is in topological solitons, including monopoles, vortices and Skyrmions. Quantised Skyrmions provide a field theoretic model of protons, neutrons and larger nuclei. With Frans Klinkhamer, he discovered and named the unstable sphaleron solution in the standard electroweak theory, with its symmetry breaking via the Higgs mechanism. Sphalerons are related to field theory topology, and to possible violation of the conservation of baryon and lepton number. They therefore need to be considered in models of baryogenesis in the early universe. 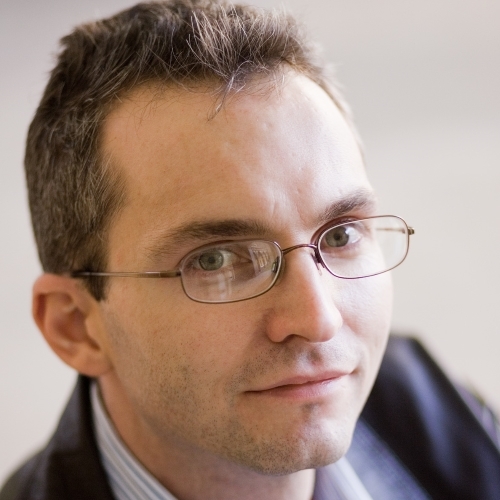 Nick Manton is coauthor of the CUP monograph Topological Solitons, and of an OUP survey of physics The Physical World'. In 1931 Dirac introduced the magnetic monopole in order to explain the quantization of the electric charge. Grand Unification Theories (GUT) of the basic interactions imply the existence of monopoles of extremely large mass, O(1016 GeV/c2 ). Larger masses are expected if gravity is brought into the unification picture. Intermediate mass magnetic monopoles (105 – 1012 GeV/c2) are predicted by theories with an intermediate energy scale between the GUT and the electroweak scales and would appear in the early universe at a considerably later time than the GUT epoch. The lowest mass magnetic monopoles should be stable, therefore they should still exist as cosmic relics from the early universe and be a component of the cold dark matter. 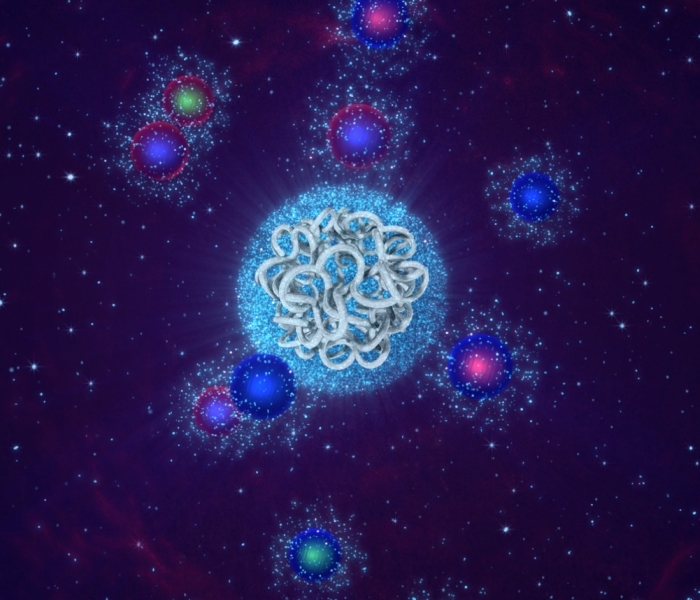 Significant efforts have been made over several decades searching for magnetic monopoles whose discovery would represent a breakthrough in particle physics, astrophysics and cosmology. Supermassive poles should have low velocities and relatively large energy losses; they are best searched for underground in the penetrating cosmic radiation. Lower mass monopoles could be relativistic reaching high altitude laboratories. In this talk the status of the searches for classical, super-heavy, and intermediate mass monopoles with experiments in space, at high altitudes, underground and underwater/ice is reviewed, emphasizing the most recent results and future perspectives. It is a well-known prediction of quantum electrodynamics that in a strong electric field, electron-positron pairs are produced through the Schwinger process, which can be interpreted as quantum tunnelling through the Coulomb potential barrier. If magnetic monopoles exist, the monopole-antimonopole pairs would be produced by strong magnetic fields through the electromagnetic dual of this process. The production rate can be computed using semiclassical techniques without relying on perturbation theory, and therefore it can be done reliably in spite of monopoles’ strong coupling to the electromagnetic field. This talk explains this process and discusses the bounds on monopole masses arising from the strongest magnetic fields in the universe, which are in neutron stars known as magnetars and in heavy ion collision experiments such as lead-lead collisions carried out in November 2018 in Large Hadron Collider at CERN. The talk will also discuss open theoretical questions affecting the calculation. MoEDAL is a pioneering LHC experiment designed to search for anomalously ionizing messengers of new physics such as magnetic monopoles or massive (pseudo-)stable charged particles, which are predicted to existing in a plethora of models beyond the Standard Model. It started data taking at the LHC at a centre-of-mass energy of 13 TeV in 2015. Its ground breaking physics program defines a number of scenarios that yield potentially revolutionary insights into such foundational questions as: are there extra dimensions or new symmetries; what is the mechanism for the generation of mass; does magnetic charge exist; and what is the nature of dark matter. MoEDAL's purpose is to meet such far-reaching challenges at the frontier of the field. We will present the results from the MoEDAL detector on Magnetic Monopole and highly ionizing electrically charged particle production that are the world’s best. In conclusion, progress on the installation of MoEDAL’s MAPP (MoEDAL Apparatus for the detection of Penetrating Particles) sub-detector prototype will be very briefly be discussed. This contribution will discuss briefly the status of present searches for new particles at the high energy frontier, as conducted at the LHC. It will then introduce ideas of potentially new experiments to search for long lived highly ionising topological avatars, as well as so called hidden particles. The discovery of such new particles would lead to major advancements and the deeper understanding of particle physics beyond the Standard Model, and directly address present open questions such as dark matter, the matter asymmetry in the universe and others. New experiments for long lived particles at the LHC comprise the MilliQan, the Codex-b, the MATHUSLA, the FASER and the AL3X experiments. Some of these experimental ideas are also explored for planning future beam-dump experiments e.g. at neutrino experiment near detectors and for the proposal of the CERN/SHiP experiment. The potential for searches for such particles at future new colliders is also briefly discussed. Professor Albert De Roeck is a senior research scientist and staff member at CERN. De Roeck is also a professor at the University of Antwerp (Belgium) and a visiting professor at the Institute of Particle Physics and Phenomenology in Durham (UK), University of California Davis, the British University in Cairo (Egypt) and NTU in Singapore. He obtained his PhD at the university of Antwerp on an experiment at CERN, studying the multi-particle dynamics in hadron-hadron interactions, by colliding meson beams on protons and nuclear targets. After his PhD, De Roeck spent 10 years at the German particle physics laboratory, DESY, where he and his team made very precise measurements of the quark and gluon structure of the proton, and performed precise tests of the strong force. At the end of the 1990s his interest turned to the possibility to discover new physics at future particle colliders, in particular Supersymmetry and Extra Dimensions, and he returned to CERN. He first joined an experiment at the large electron-positron collider LEP, studying the strong force and searching for signals of new physics. Between 2000 and 2009 he played a significant role in the preparation of one of the experiments at the LHC: the Compact Muon Solenoid (CMS). De Roeck has become one the leaders in the CMS/LHC physics program and actively involved in physics analyses. 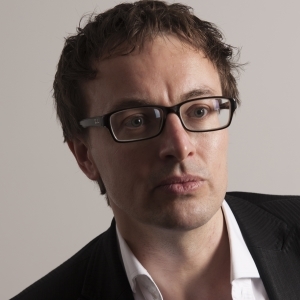 De Roeck was also the deputy spokesperson of the CMS experiment in 2010 and 2011, was the convener of the Higgs search physics group in 2013 and 2013, and had a leading role in the discovery of that particle in July 2012. He now leads an exotica search group in CMS and joined the MoEDAL experiment in the search for monopoles. In 2016 he became the leader of the neutrino physics group at CERN and is now also an active member in the DUNE experiment in the US and T2K upgrade in Japan. Two things will be explained in this talk. First, that there is an ambiguity in the gauge group of the Standard Model, and this affects the possible monopoles that may be observed in the future. Second, that there is an unsolved problem in how to define magnetically charged particles in gauge theories with chiral matter. David Tong is professor of theoretical physics at the University of Cambridge. He works on quantum field theory and its applications in different branches of physics, including cosmology, geometry, and condensed matter. Although it is well known that baryon number violating processes happen in the electroweak theory, there is a large (about 70 orders of magnitude) discrepancy in the determination of the baryon number violating scattering cross-sections at energies around the sphaleron energy of 9 TeV, separating the potentially observable from the totally unobservable predictions in the laboratory. The (old) pessimistic estimate is unreliable as the energy approaches the sphaleron energy, so it is useful to take an entirely different approach to this problem. The more optimistic estimate is based on the Bloch wave approach, which reliably covers energies ranging from zero to the sphaleron energy and above. At low energies, both studies yield an exponentially small cross-section, but the Bloch wave approach yields a much bigger rate as the energy approaches the sphaleron energy. Recently, this idealized Bloch wave approach is further improved by taking into account the presence of the baryon number conserving direction as well as the fermion masses, a much more realistic situation. At the present proton-proton energy of 14 TeV at the LHC, the parton distribution and phase space suppression is quite severe. Orders of magnitude in the event rate can be gained if LHC can double its present energy. Conservation of baryon number is one of the fundamental laws which has been verified with a great accuracy. However, existence of baryon number violating processes is predicted within the Standard Model of particle physics. These processes are related to the transitions between topologically nonequivalent vacua which are separated by a potential barrier. The probability of these processes is known to be exponentially suppressed at small energies but grows with the energy increase. This talk discusses a semiclassical method to calculate the probability of the baryon number violating processes induced by collisions of a few particles. The method is argued to be valid at all collision energies and improved numerical calculations confirm that the probability of baryon number violating processes stay exponentially suppressed even at the energies much larger than the barrier height. Possible applications to extensions of the Standard Model are discussed. I received my PhD from the Institute for Nuclear Research of the Russian Academy of Sciences (INR RAS) in 2007. At the moment I am a Senior Researcher at the Theory Division of INR RAS. I work in the field of theoretical high energy physics. My primary interests lie in phenomenological aspects of physics beyond the Standard Model and signatures of new physics at neutrino telescopes, dark matter and collider experiments. Directions of my current research include development of semiclassical methods in quantum field theory with applications to false vacuum decay, multiparticle production and baryon number violation in instanton-like electroweak transitions induced by particle collisions. Supersymmetry is one of the most interesting scenarios for physics beyond the Standard Model. It could help us understand the scale of the weak interactions and the mass of the Higgs boson, it would help unify the fundamental interactions, and it could provide the dark matter expected by astrophysicists and cosmologists. Supersymmetry predicts the existence of many new particles. None has yet been discovered, but it is possible that there might exist a long-lived supersymmetric particle that could be detected by the MoEDAL experiment at the Large Hadron Collider. 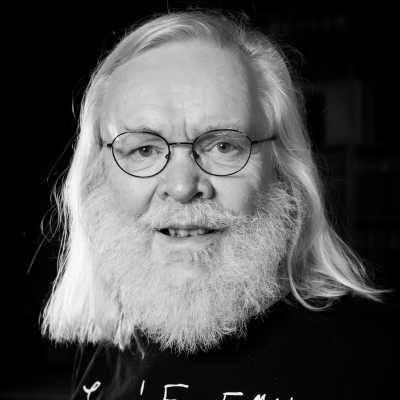 John Ellis currently holds the Clerk Maxwell Professorship of Theoretical Physics at King's College in London. After obtaining a PhD from Cambridge University and post-doctoral positions at SLAC and Caltech, from 1973 to 2011 he worked at CERN (Geneva). His researches on phenomenological aspects of elementary particle physics and its connections with astrophysics, cosmology and quantum gravity. 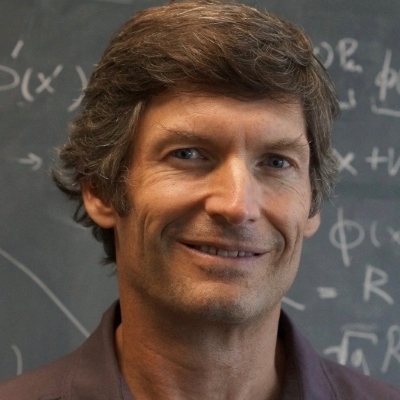 Much of his work relates directly to experiment: interpreting results of searches for new particles and exploring the physics that could be done with future accelerators. A proposal he made in 1976 led to the discovery of the gluon in 1979, and he was one of the first to study how the Higgs boson could be produced and discovered. 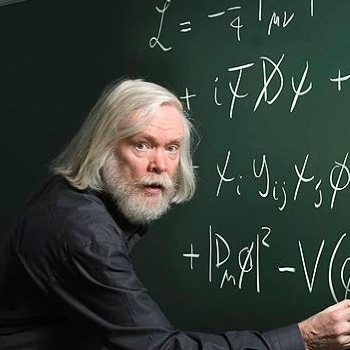 He is currently active in efforts to understand the Higgs particle discovered recently at CERN, and exploring extensions of the Standard Model such as supersymmetry and other possible new physics such as dark matter. In general relativity, black holes furnish classic examples of spacetime topology - as well as predicting its breakdown. But nature is quantum-mechanical, and this appears to force a different view of black holes and of spacetime itself. This talk will sketch some basic elements of proposals for this structure and for black hole evolution that is consistent with quantum mechanics. Steve Giddings received his PhD in 1987 at Princeton University; his advisor was Edward Witten. Prior to that he earned Bachelors degrees in Physics and Mathematics at the University of Utah, where he began his research in gravity with Karel Kuchar. After Princeton, he was a postdoc and then Junior Fellow at Harvard University. He then began his faculty career at the University of California, Santa Barbara, and has continued there until this day. He has held visiting appointments at CERN, Stanford, and UC Berkeley, and is currently a Scientific Associate at CERN. His research focuses on fundamental questions about the quantum nature of spacetime structure, quantum gravity, and quantum black holes, as well as other fundamental aspects of particle and field structure. More than twenty-two years ago, we predicted that massive primordial black holes (PBH) would form via the gravitational collapse of radiation and matter associated with high peaks in the spectrum of curvature fluctuations, and that they could constitute all of the dark matter today. In 2015, we predicted the clustering and broad mass distribution of PBH, which peaks at several Msun, and whose high-mass tails could be responsible for the seeds of all galaxies. Since then, LIGO has detected gravitational waves from ten merger events of very massive black hole binaries. We propose that they are PBH, and predict that within a few years a less than one solar mass PBH will be detected by AdvLIGO-VIRGO, and that in 10 years, an array of GW detectors (i.e. LIGO, VIRGO, KAGRA, INDIGO, etc.) could be used to determine the mass and spin distribution of PBH dark matter with 10% accuracy. Thus, gravitational wave astronomy could be responsible for a new paradigm shift in the understanding of the nature of dark matter and the evolution of the large scale structures in the universe. 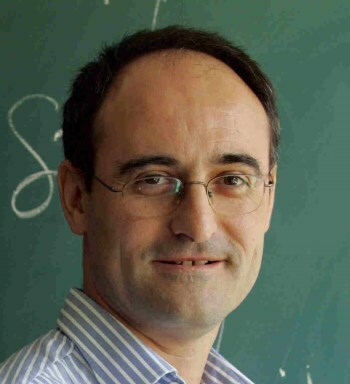 Juan Garcia-Bellido is a Professor of Theoretical Physics at the Autonomous University of Madrid and researcher at the Institute of Theoretical Physics of the CSIC. He is the author of more than a 150 articles in specialized magazines and is a renowned theoretical cosmologist. Garcia-Bellido has worked at CERN, Imperial College London and Stanford University. His research covers a wide range of phenomena, from the origin of the universe in terms of the theory of cosmological inflation, to the formation of galaxies and the nature of dark matter and dark energy. He loves music and painting. He is married and has two children. Marc Kamionkowski earned a B.A. (1987) at Washington University and a Ph.D. (1991) at the University of Chicago. These were followed by postdoctoral study at the Institute for Advanced Study (1991-1994) and faculty positions at Columbia University (1994-1999) and Caltech (1999--2011). From 2006 to 2011 he was the inaugural director of Caltech’s Moore Center for Theoretical Cosmology. In 2011 he joined the faculty at Johns Hopkins University where he is now the William R. Kenan, Jr. Professor. His most significant research contributions are in the theory of dark matter, dark energy, and the cosmic microwave background, but he has also worked on other subjects in astrophysics and cosmology. His honors include the AAS Helen B. Warner (1998) and Dannie Heineman (2015) prizes and the DoE's E. O. Lawrence Award (2006). He is the Astrophysics Editor (since 1998) and Editor-in-Chief (since 2008) of Physics Reports. 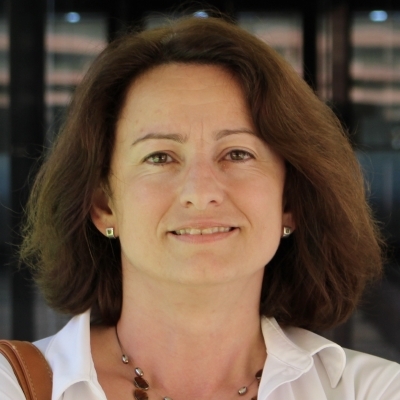 Annarita Margiotta is associate professor at the Department of Physics and Astronomy of the University of Bologna. Her scientific interests have always been focused on high-energy physics. She started her career studying the data from interactions of high-energy neutrinos with the Big European Bubble Chamber, at CERN. Then, she continued with the MACRO experiment, at the Gran Sasso Laboratory, whose objectives were the search for magnetic monopoles and the study of the penetrating component of the cosmic radiation. MACRO gave important contributions to the discovery of the atmospheric neutrino oscillations. At present, her main interest, not the only one, though, is addressed to the research for cosmic neutrinos with the Mediterranean undersea neutrino telescopes, ANTARES and KM3NeT. 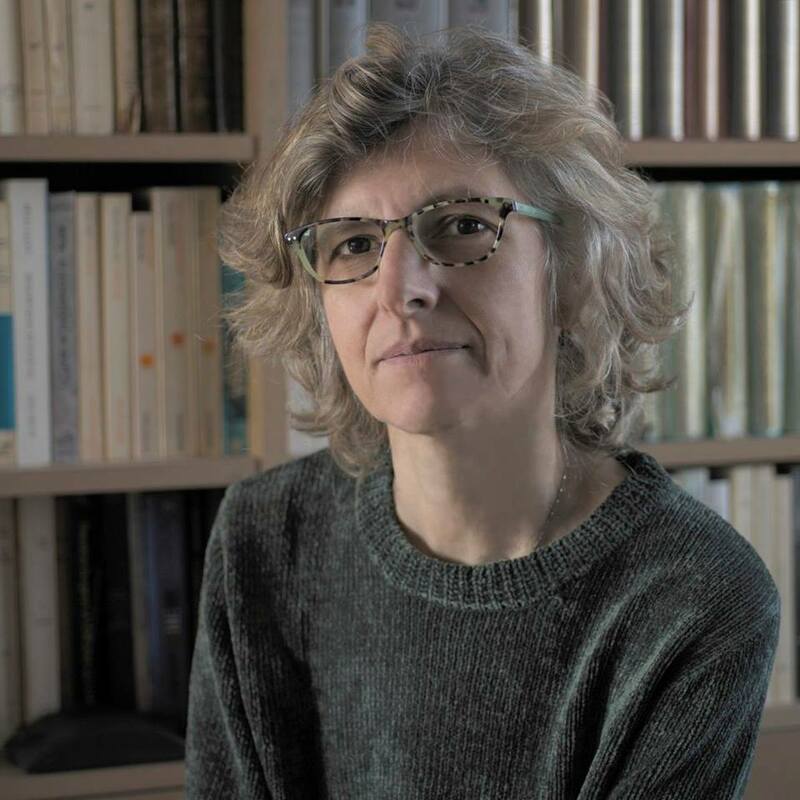 In addition to her research activity, she teaches courses of Fundamental Physics at the University of Bologna and she is deeply involved in transmitting her passion for physics to young people.